FB Live Episode - WHY a "group" discussion in voir dire is superior to "individual" voir dire. The FB Live that I did in my From Hostage to Hero Facebook Group on Wednesday 04/17/19 has been uploaded as a bonus episode on the From Hostage to Hero Podcast. This week we asked the question Why a "group" discussion in voir dire is superior to "individual" voir dire. Join my Facebook Group for plaintiff civil attorneys and criminal defense attorneys. Get in on the discussion and get great teaching tips throughout the week. There’s some great trial attorneys out there. They get big verdicts, have maybe even written a book or two, and it seems they never lose. So you should try to be like them, right? In today’s episode, I explore Limiting Belief #2: I Have to Be Like [Insert-Famous-Trial-Attorney-Here] to Win. You don’t have to mimic the greats to win. You just have to learn how to fully and completely embrace your uniqueness and show the jury who you are. Give the episode a listen. The FB Live that I did in my From Hostage to Hero Facebook Group on Wednesday 04/03/19 has been uploaded as a bonus episode on the From Hostage to Hero Podcast. This week we asked the question "What is the SCARIEST Part Voir Dire?" In this episode of From Hostage to Hero, I interview Michelle Sipes-Martin, a legal nurse consultant, about how attorneys are leaving money on the table when they don't fully understand their case and how to present it at trial. To learn more, visit msalegalnurse.com or call her at (206) 200-6719. SUBSCRIBE to the From Hostage To Hero Podcast on iTunes, through Apple Podcast, Spotify or your preferred podcast app. Last week I talked about how you are a hostage to fear. In today’s podcast, I explore Limiting Belief #1: There’s a “Right” Way to Do This. Believing this really hampers you in court and in life. There’s a LOT of great info out there for trial attorneys, the danger is when you buy into one “technique” as THE RIGHT WAY TO DO THIS. "This," meaning trial. ​Give the podcast a listen. My special FB Live from Thursday 03/21/19 has been uploaded as a bonus podcast episode on the From Hostage To Hero Podcast. This week we discussed why it's important to stop looking for your "bad" jurors and how to create an ideal juror profile instead. In this episode, we discuss how the same threats that your jurors face are the ones that you face in the courtroom. Using the SCARF model, we break down the common fears that confront you and begin to recognize that you are a hostage too. When you're up against a hostile room with people who don't want to be there, you need real strategies that get results. Welcome to From Hostage To Hero. The show that gives you practical advice you can use right now in the courtroom, boardroom or classroom. Learn how to move your unwilling audience to one that is invested in what you're saying, eager to participate and engaged in the process. Learn from The Attorney Whisperer herself, your host, Sari de la Motte. Welcome trial attorneys to another episode of From Hostage To Hero. We have been looking primarily at jurors, and today I would like to get started talking about you. Because as we've been discussing, the jurors are hostages yes, but you're a hostage too.Let's talk a little bit about what I mean by that. Of course, unlike the jurors, you are not forced to come to trial. Sometimes you are in terms of if they don't settle and you really want to take it to trial, but not forced in the sense that jurors are. You also get to choose your cases and your clients unlike jurors who don't get to make a choice about whether they get to stay or not, so you're not a hostage like jurors are but you are a hostage to one very important thing, that if you do not handle and ... or I should say get a handle on, you are in trouble. You are a hostage of fear. Yep. Fear of losing, fear of screwing up, and fear yes, of the jurors themselves. In the last podcast we talked about how to change your mindset of viewing the jurors as the enemy, but this is one of the reasons why I started the last podcast with that, is because this fear of the jurors, of screwing up, of losing has the potential to absolutely derail you at trial. And you've got to get a handle on this idea of fear ruling you on one level or the other, because that's what we're going to do in the next couple of podcasts. Is we're going to look at some very specific what I call limiting beliefs that I've seen so many trial attorneys suffer from in the nearly 15 years that I've been doing this work. Today, we're going to just take a broad view just like we did in one of the very first podcasts in terms of the SCARF model and how it applies to jurors. Today, we're going to talk about the SCARF model and how it applies to you.As we move into this content, one of the things I want you to be thinking about is the pressure that I see so many of you under. The outside pressure is one thing, whether you're going to lose case, whether you're going to lose the money that you put into it. All of the things that go into actually going to trial, that outside pressure. But the inside pressure is what I see that can be even worse. There's so much pressure that you put on yourself in terms of if you're doing it, "right." 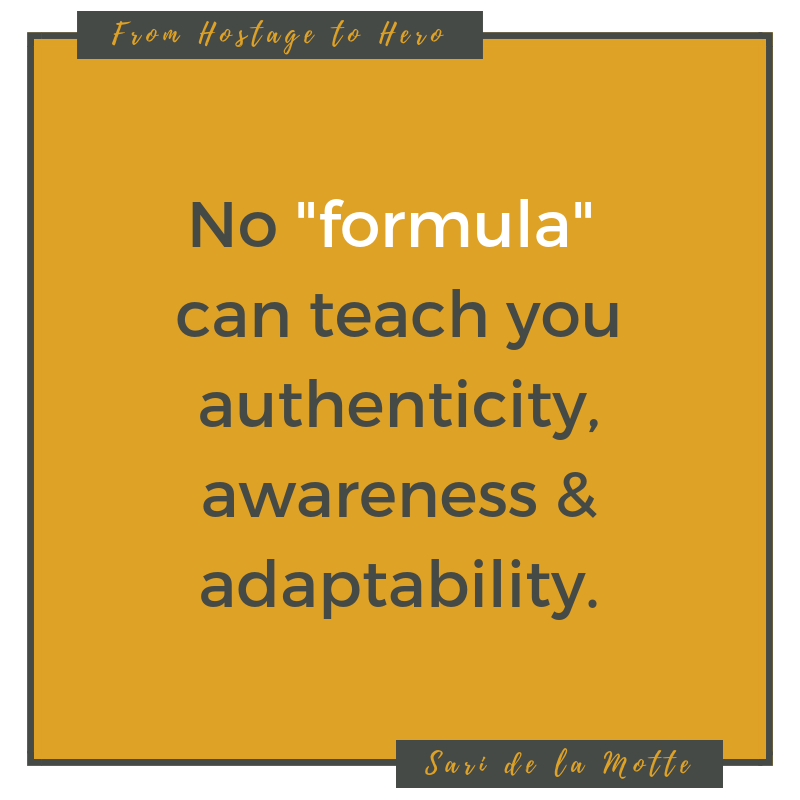 And in fact, the next podcast we're going to be talking about this idea, one of our limiting beliefs of having a formula, there's a formula out there. 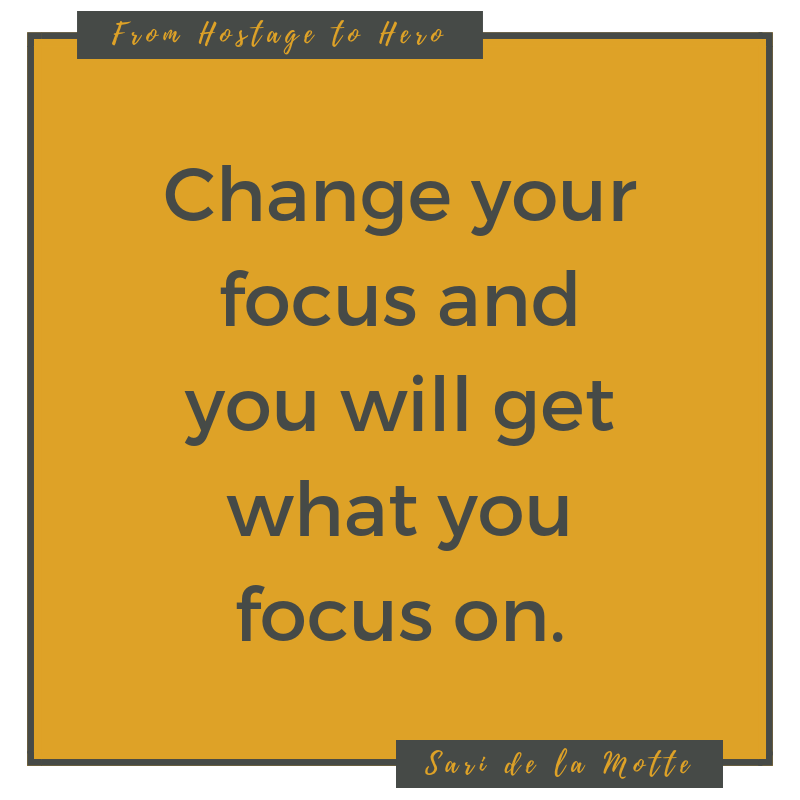 On this FB Live from 03/14/19, we talk about the From Hostage to Hero FB Group, the intention the goals, the community, etc. 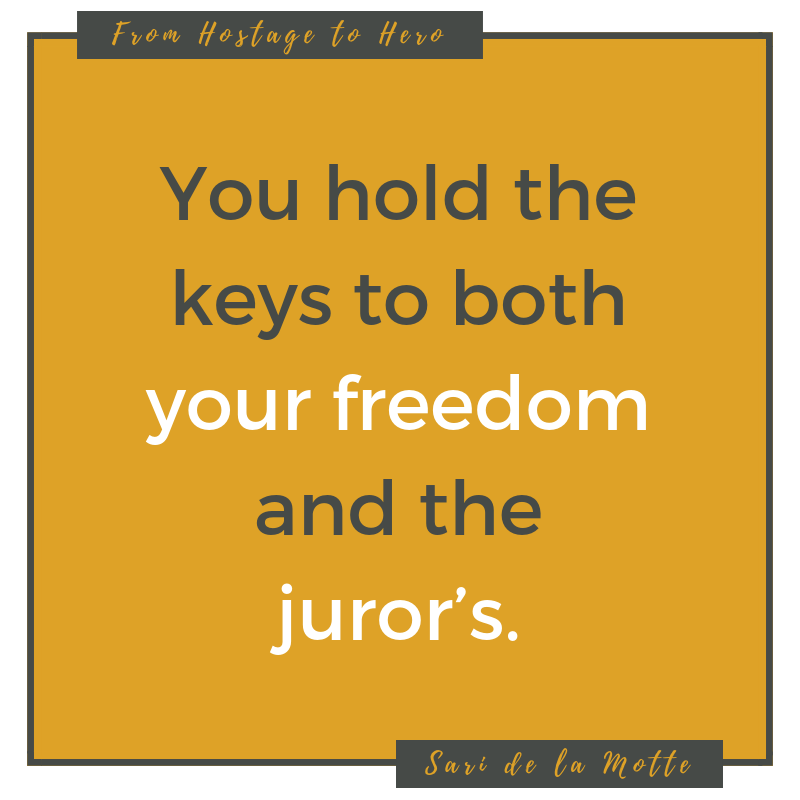 In this episode, we're going to talk about why you need to stop focusing on kicking jurors off, and instead begin focusing on what jurors you want on. When you're up against a hostile room of people who don't want to be there, you need real strategies that get results. Welcome to From Hostage to Hero, the show that gives you practical advice you can use right now in the court room, boardroom, or classroom. Learn how to move your unwilling audience to one that is invested in what you're saying, eager to participate and engaged in the process. Learn from the Attorney Whisperer herself, your host, Sari de la Motte. Well, hello trial attorneys. Thanks for tuning in, and today we're going to talk about why you need to stop focusing on kicking jurors off, and instead begin focusing on what jurors you want on. 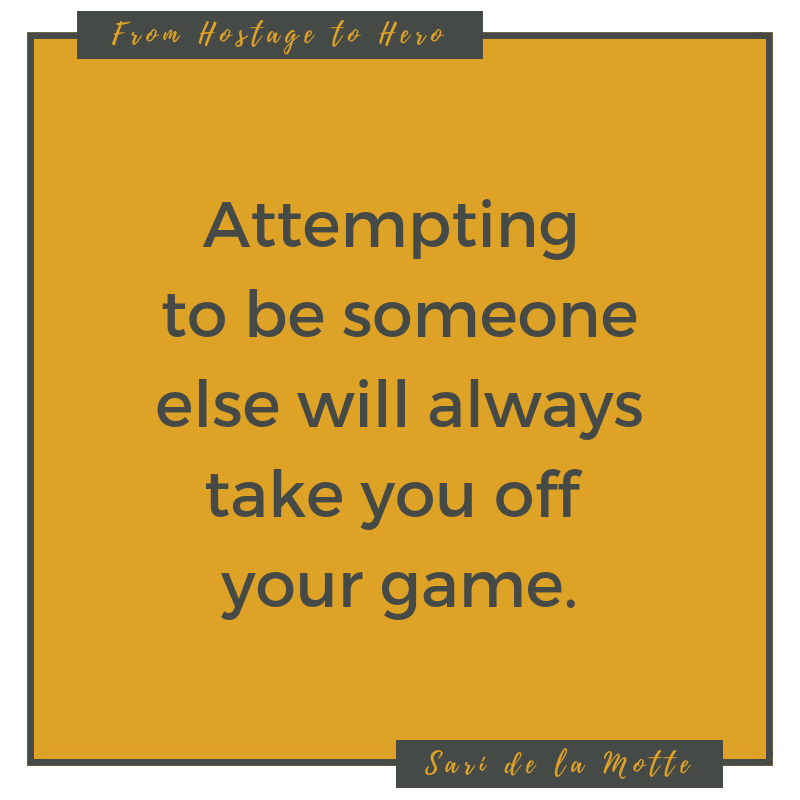 In the last several podcasts, we've gone over the five Ps and the how you reverse the threat from SCARF, SCARF being the model that David Rock talks about in his book, Your Brain at Work. He was not speaking of juror specifically or jury selection. It's when I went and looked at that model and thought, "Oh my goodness, this applies across the board to jurors."